Are Your Managers Ready for What is Coming? Have you started thinking about your strategy for integrating the Canadian Psychological Health and Safety Standard into your organization, since it is rumoured to be coming into law in the next few years? Your Psychological Health and Safety Management System (PHSMS) will be a mixture of top-down support, prioritized adaptation, and grassroots initiatives. Depending on your organization, the successful introduction of a PHSMS may require a substantial culture shift. It is time to turn gossip, negativity, criticism, and disrespect into happiness, optimism, good manners, valuing others, growth, and positive attitudes. The catalyst for this change will be your people leaders. To assist them, may I propose the VIPA model, explained below, for transformational leadership that is focused on mentally healthy workplaces. These behaviours will help your organization ensure that the 13 Psychological Factors of the Standard are fulfilled. Transformational leaders inspire employees to follow a compelling vision. Your leaders will embrace the organization’s direction, and determine how their individual departments can contribute. They will give employees a clear, inspired direction to follow. This will help individuals find purpose and meaning in their jobs, by helping them understand how the work they do contributes to the overall success of the organization. Goal attainment and continuous improvement will be the focus, and rewards and recognition will be meaningful. Employees will be positive, engaged, and focused on success. As well, this vision will emphasize human relations, as leaders build a sense of community and insist that people consistently treat each other with respect. Transformational leaders will set the example of how to work well with others. They will be honest, trustworthy, fair, positive, respectful, and protective of employees’ psychological health and safety. They will have a strong work ethic and be transparent in their actions. Leaders in your PHSMS will model these behaviours and expect the same from employees. Leaders will also need to care for equity and equality in your organization. This includes equal opportunity, pay equity, and equal workload; it could be as simple as merely giving equal time and attention to each employee. Furthermore, your people leaders will do what is best for their employees’ careers, which means giving them developmental opportunities and coaching them for success. When your organization invests in people this way, you will be able to attract, motivate, and retain good employees. Transformational leaders will recognize that each employee has particular strengths and gifts. With proper planning, leaders will consider the individual capabilities of employees, and ensure that people are assigned to complementary roles as much as possible; thereby, increasing motivation and decreasing stress. Furthermore, when workforce planning is well thought out, workloads will be reasonable, and employees will be better able to achieve work-life balance. Planning will also include giving employees developmental experiences, so they will have the skills needed in the future, including being flexible and resilient. These skills in embracing change will become even more important when reasonable accommodations are required, and employees are being asked to assist. Transformational leaders will create a safe environment, where employees can talk about mental health disabilities and receive needed accommodations. With respect to their work, employees will know they can seek clarification from their managers, and they don’t have to worry about eliciting a negative reaction. In a psychologically safe environment, employees will be comfortable bringing their concerns and ideas to management; they won’t worry whether the supervisor might be “having a bad day.” Employees will also be involved in some aspects of decision-making in their jobs or in the organization, as leaders realize the importance of appealing to each employee’s higher-level needs and sense of purpose. Leaders will become approachable by showing support and encouragement to their employees, and by demonstrating consistent behaviour themselves. Leadership in your organization will be the foundation for your Psychological Health and Safety system. HR staff, as coaches for management development, are in a unique position to make a positive, proactive impact. 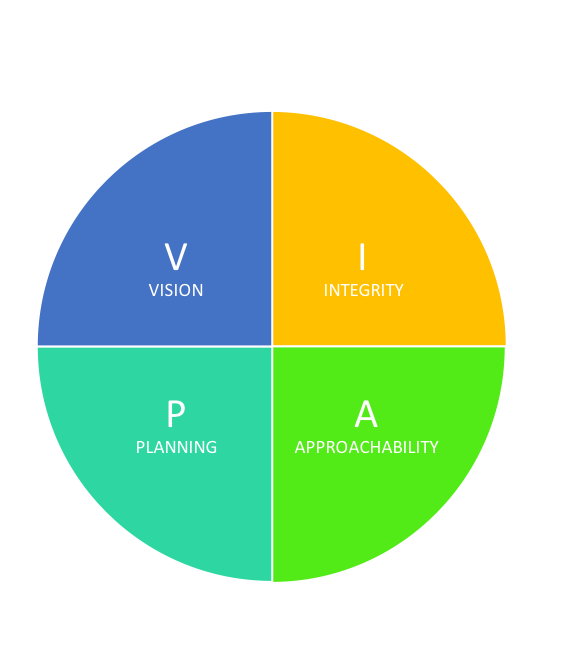 Begin with the VIPA—Vision, Integrity, Planning, Approachability—model now, and be well-positioned for PHSMS compliance. Moreover, I believe that protecting psychological health and safety in the workplace now, is simply the right thing to do.